Pupil Voice represents the views of all our pupils. It gives children the opportunity to make their voices heard and feel part of the whole school community. 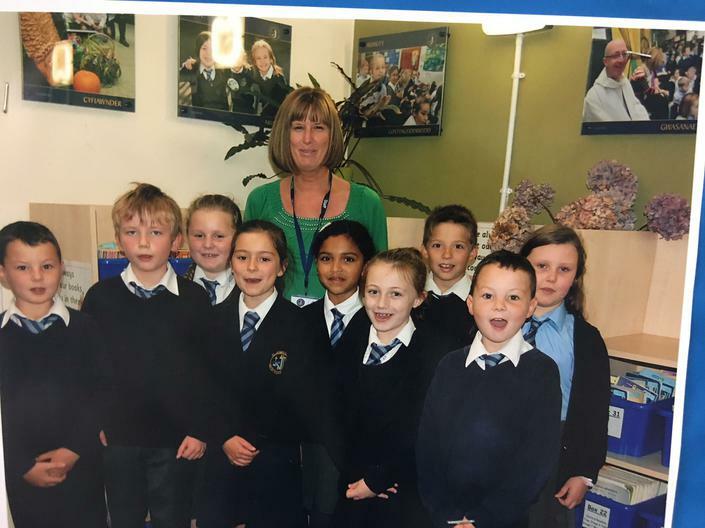 School council have met regularly this term. They have organised the Children in Need day in the Autumn term where they raised a fantastic £499 for the charity Staff and children really enjoyed the day. We have also spent a lot of time working with the EWO Lisa Lewis to promote good attendance. We decided that every class would be able to see their attendance and know who needed to improve. The class with the highest attendance would have a green certificate to display on the classroom door. On the office door the whole school attendance is displayed for all to see. The School Council meet every Monday playtime to update the scores. All children are enjoying the competition for the best attendance. 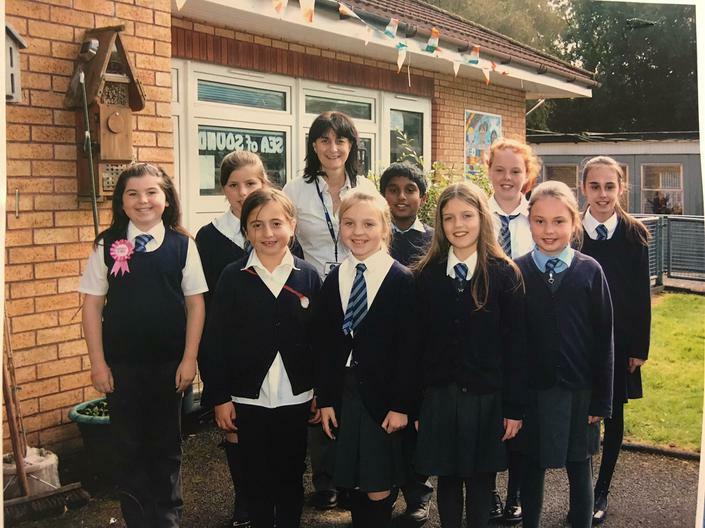 We are a group of 15 enthusiastic members from year four to six. Our Mini Vinnies are inspired by Christ’s message to “love our neighbour as ourselves”. Our Mission is to seek and find those in need, to help them in a spirit of justice and to tackle the causes of poverty where we can. During the Spring Term the Mini Vinnies raised £344 by having a non-school uniform day and a toast morning. We raised money for CAFOD to aid families across East Africa where millions of families are facing starvation because of drought, lack of food, and civil war. Our donation will provide food, clean water, healthcare and sanitation for people in desperate need. Towards the end of the term we were approached by ‘SHARP’ (Swansea Humanitarian Aid Response Project) to help those who are affected by the war in Syria. We have collected toiletries, rucksacks and blankets. The SHARP team take these items directly to Syria every couple of weeks. This is thanks to the generous parents, grandparents and families in our school community who are always more than happy to help others. We have had a busy term. We meet regularly to discuss updates for Peace Mala and UNCRC. 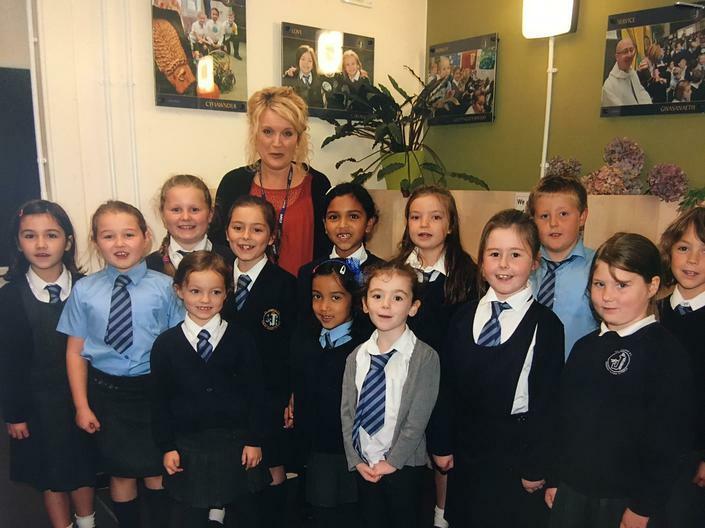 At the beginning of March we had 6 Headteachers from Cardiff who came to visit the school to learn about UNCRC. We prepared a presentation for the Headteachers informing them about how we implement UNCRC in our school. We discussed the articles of the month and also our UNCRC school calendar. We took the Headteachers on a tour of the school and shared our classroom charters which are displayed in every classroom. The Headteachers were very happy and learned a lot from their visit. We are also busy preparing for an exciting trip to Llandaff Cathedral in July. We will be sharing our Peace Mala message with other schools across the UK. Our school will be giving information on the bracelet, one half of the bracelet discussing all the different religions. We will be preparing words, pictures and music for the celebration. We have a busy few months ahead of us. Mrs. Rowden runs a very enthusiastic committee with 25 members. Eco Council have a chair and vice chair from year 6 class, a teacher, Governor and Parent Representative. They meet every Monday in Year 1 class and discuss new ideas to move Eco forward at St. Joseph's. We have attained our third Green flag in the Autumn Term. A ‘Digital Competence Council’ was formed this term with the focus on improving digital standards throughout the school. We have recognised that for our children to develop the necessary skills to engage and grow in the modern age, they need to be confident and competent with the wealth of technology around them. To do this we needed pupils who are responsible, passionate and hard-working about technology. The council will train and support other children in their classes with ICT and with the new ‘Digital Competence Framework’. Each class in KS2 held a vote to ensure fairness in the appointment of two members per class. The council was formed and immediately they created a new 'code of conduct' aimed at raising awareness of online security and behaviour. 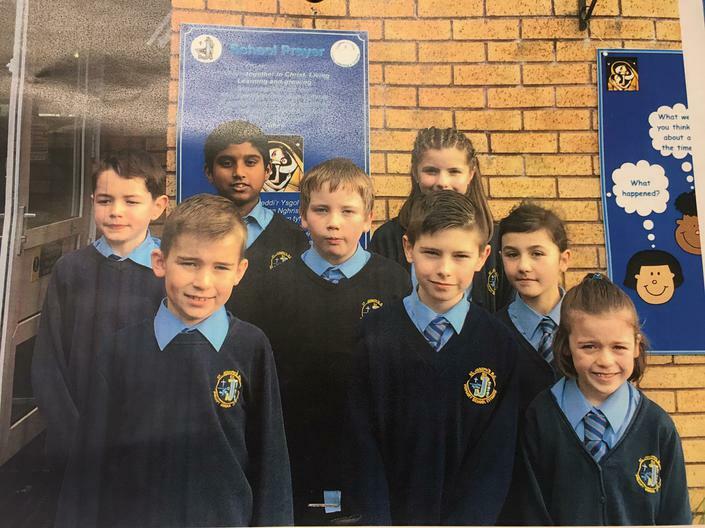 As a result, each class now has the code of conduct visible to ensure each child knows what they’re expected to do whilst working on I.C.T along with a picture of the DCC so if any issues have arisen they know who to approach within their classrooms. The council also met with parents on SAFER INTERNET DAY and presented to them their power-point which described their roles and responsibilities. Recently they have gathered and organised a competition for the children, offering certificates and prizes for the best entries with an Easter theme . During the Spring Term ‘Criw Cymraeg’ have continued to choose and introduce Y Patrwm yr Wythnos/ The Pattern of the Week in Friday Merit Award Assembly. They are also working to encourage their peers to ‘Siarad Cymraeg’ around the school and in the playground. 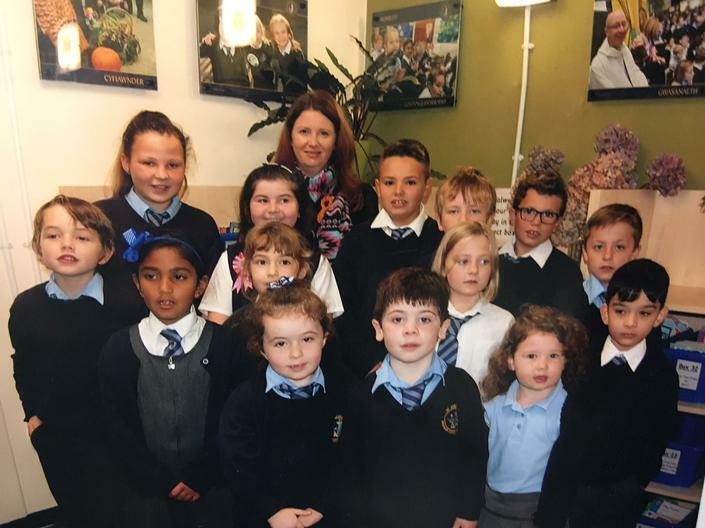 In February they had the very important job of accompanying Mrs Nerys Jones – our Welsh in Education Officer – on a tour of all classes to observe ‘Slot Ddrilio’ lessons. The children were listening carefully to each teacher and looking out for examples of good practise and for progression of oral Welsh throughout the school. The Criw then met with Nerys and myself and gave very valuable feedback about their visits and on what is going on within their classrooms. This information was then fed into an action plan for staff to work on. 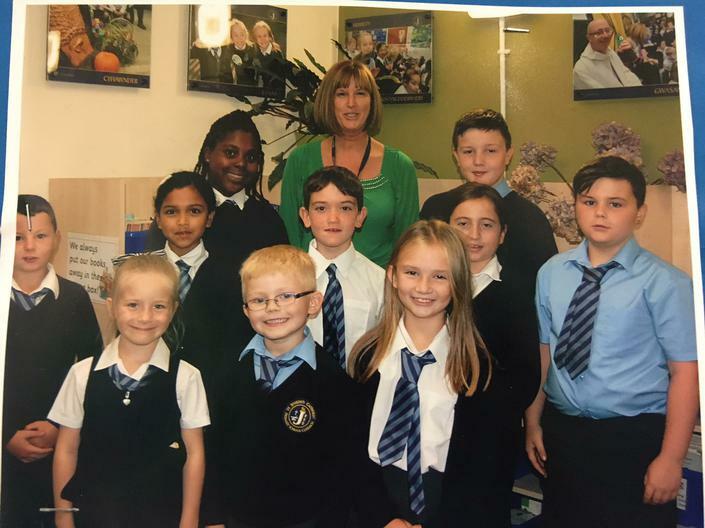 The Young Apprentice group is run by Mrs Williams (Mrs. Sugar ! ) The group made up of Year and 6 pupils decide on money making enterprises for the term to raise money for school funds. Last term the group made and sold valentine gifts and Mothers day presents and also Easter gifts.